Βασικά σημεία συζήτησης από την εκδήλωση με θέμα “H διαφορά για το όνομα μεταξύ Ελλάδας και πρώην Γιουγκοσλαβικής Δημοκρατίας της Μακεδονίας: Ο ρόλος της κοινής γνώμης και της κοινωνίας πολιτών και οι προοπτικές για το μέλλον” που πραγματοποίησε το Πρόγραμμα Νοτιοανατολικής Ευρώπης του Ελληνικού Ιδρύματος Ευρωπαϊκής και Εξωτερικής Πολιτικής (ΕΛΙΑΜΕΠ) την Παρασκευή 30 Μαρτίου 2018 εκδήλωση. Τhe South-East Europe Programme of the Hellenic Foundation for European and Foreign Policy (ELIAMEP) organized a public event entitled “The name dispute between Greece and the Former Yugoslav Republic of Macedonia: The role of public opinion and civil society, and the prospects for the future.” The debate took place in Electra Palace Athens Hotel on 21 March 2018 with the participation of the representatives of foreign embassies, academia, media and civil society. 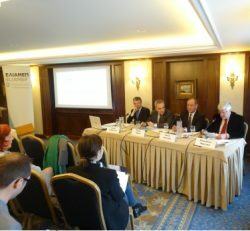 The aim of the event was a) to present the findings of the 2018 opinion poll on the Greek public attitudes towards the so-called “name dispute” between Greece and FYROM; the poll was carried out by researchers of the South-East Europe Programme of ELIAMEP in cooperation with the Public Opinon Unit of the University of Macedonia; and b) to present recent developments on civil society cooperation between Greece and FYROM. The event was opened by a welcome speech of Dr. Thanos P. Dokos, Director General of ELIAMEP, who underlined the significance of the topic under investigation, summarized the character of prior engagement and scientific contributions of ELIAMEP to this specific research topic. Dr. Dokos also introduced individual speakers. The first speaker, Dr. Ioannis Armakolas, Assistant Professor at the University of Macedonia, ‘Stavros Costopoulos’ Research Fellow and Head of South-East Europe Programme at ELIAMEP presented the findings of the 2018 opinion poll about the “name dispute”. A similar survey was also realized in 2016, thus, enabling ELIAMEP researchers to compare the findings of the two polls. 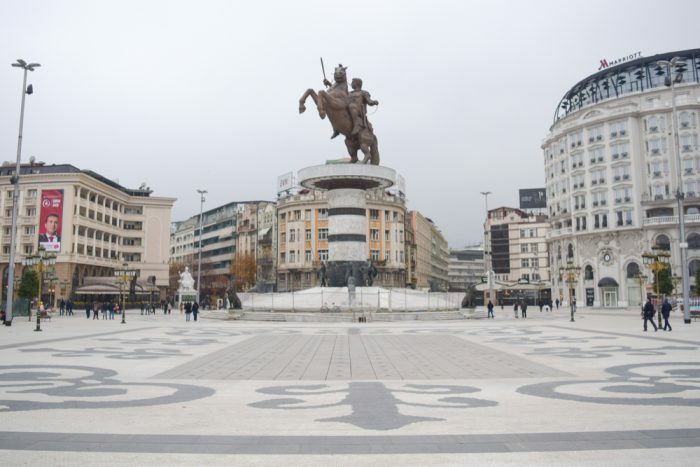 Moreover, the knowledge of public opinion ongoing negotiations with FYROM is of crucial importance as the attitudes of the Greek public towards reaching a possible compromise remain overwhelmingly negative. The public opinion, therefore, represents a major challenge in finding a long-term solution. The 2018 public poll offers several remarkable results. First of all, it showed that the political representatives of Greece have failed to inform the Greek public about the new dynamics of the name dipsute and also that the Greek public is not well-informed about the substance of the political problem related to FYROM and the name issue. Secondly, the overwhelming majority of respondents consider the issue as important and, at the same time, are not willing to accept a compromise solution that would include the word «Macedonia» in the official name of FYROM. These stances are shared by respondents across all social groups except for the ideological divisions where leftist and centre-left oriented voters who are inclined towards less rejectionist attitudes. Finally, although the Greek public opinion does not perceive FYROM as a security threat, it still believes that the country could become a threat in the future in case the negotiations would not be solved in a way that would comply with the Greek interests. The second speaker of the public debate was Dr. David Phillips, Director of the Program on Peace-Building and Rights at the Institute for the Study of Human Rights, Columbia University, and Head of the Southeast Europe Dialogue Project. Dr. Phillips talked about the cross-border civil society cooperation initiatives between Greece and FYROM. Since the establishment of the Southeast Europe Dialogue Project in March 2015, this initiative initiated a number of activities in various areas including academia, business, media and civil society and, thus, contributed significantly to the development of cooperation between both states at different social and professional levels. The role of a discussant was assumed by Mr. Alexandros Mallias, Ambassador ad Honorem, who presented his insightful evaluation of the ongoing diplomatic negotiations between Greece and FYROM. He commented on the current possibilities of finding a solution acceptable by both sides while drawing attention to the international setting and the plausibility of constitutional amendments in FYROM. The presentations of individual speakers were followed by a lively debate reacting to numerous questions asked by the audience. Questions pertained to issues such as what the future developments in the name dispute will be, Greece-FYROM foreign relations from the international, domestic and legal perspective, the implications of the name dispute for the possible accession of FYROM to NATO, and the role of Russia in the region.